If Hertford Town manager Adam Fisher doesn't have writers cramp we'll be very surprised. This afternoon he took the number of players signed since his arrival at Hertingfordbury Park last weekend up to NINETEEN, with FOUR more to add to the two we told you about at lunchtime (and to the thirteen we told you about on Tuesday). Former Berkhampsted and Leverstock Green midfielder Jack Stevens. Former Welwyn Garden City midfielder Danny Payne. 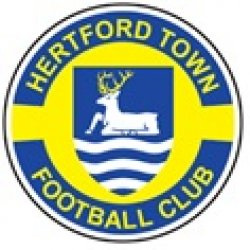 Hertford host Ashford Town at Hertingfordbury Park tomorrow.